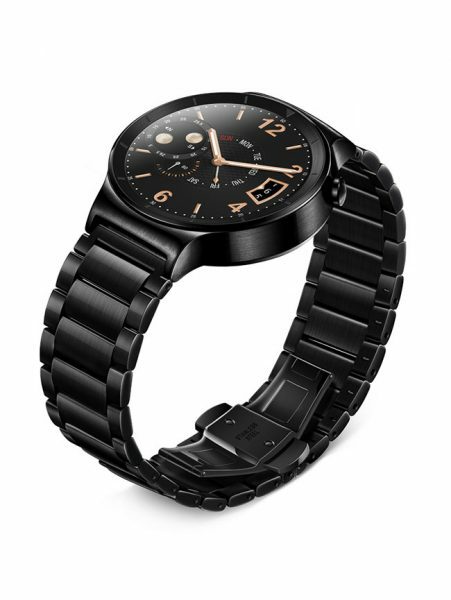 This IFA I have had the chance to wear the Huawei Watch for a couple of days, and these are my impressions. The model I had to play with was the one shown in the images, the black stainless steel dial and band. 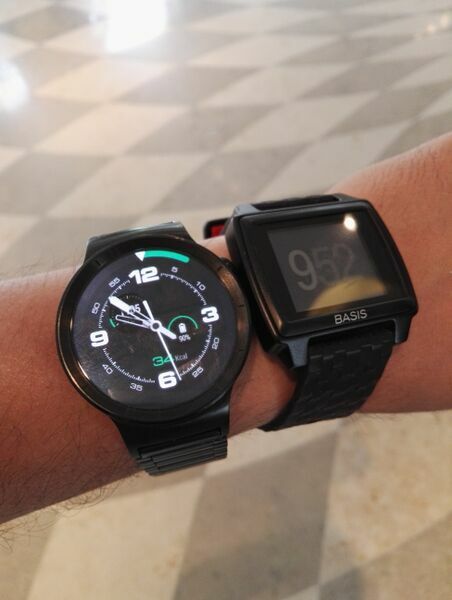 While smart watches have come a long way, it must be noted that everything featuring Android Wear, specially with round dials is still on the chunky side. This is no different, though I guess the complete metal casing and strap don’t help the weight much either. One of the first things we all (the tech journalist and Fans) noticed was that the strap was too loose out of the box. None of us had the right tool (SIM popping tool doesn’t work) to pop a bit out of the strap, and we do not know whether they will put the tool in the box or not. Huawei, if you’re listening (reading), you definitely need to put the tool in the box of this watch. After that, you start to notice the weight, which isn’t crazy for a watch this size, but it is definitely not on the light side. If you have thin wrists, this may not be for you. One of the main things that really needs the strap to work properly is the heart rate sensor. 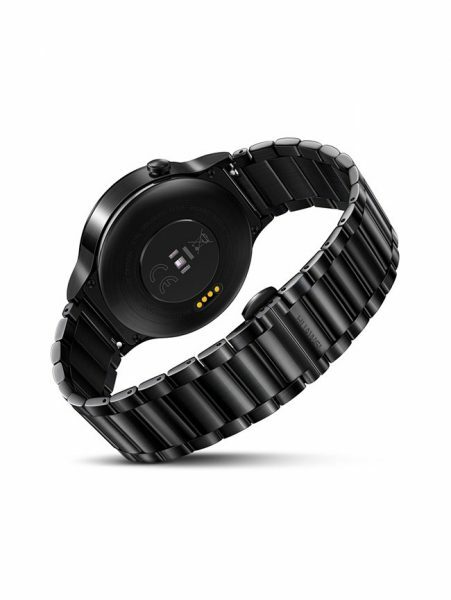 The heart rate sensor needs to be touching your skin, and be still, which only works well if the watch is strapped on properly. I tested the heart rate sensor, while physically holding it or sliding the watch up my arm. It came within a few beats of my tests with Basis Peak, which I was wearing on the same arm. You do have to ‘activate’ the heart rate monitor every time though, it isn’t automatic like most fitness watches. Fitness tracking was compared to the Basis Peak as well, and in a day where I racked up more than 11,000 steps, the two came within about 300 steps of each other. Once again, great. The burnt calories were no where close though, probably because the heart rate monitor wasn’t active all the time. While it is always encouraged with any watch to run it on off mode, and use the gesture to turn it on, I just can’t do that. A watch needs to be always on for me. So that is the mode I tested it in. Android Wear handles this quite well, where you have a dimmer ‘always on’ display, which shows just time and less information, while a bit of movement or flick of wrist lets you see the full screen. In terms of brightness, we were lucky to have a beautiful day in Berlin for most part of the day, and the screen was beautifully visible all day long, and easy to read no matter how bright it got. The software experience, the look, the feel, it all is defined and set by Android Wear, and I found nothing to complain about it. However, the way Android Wear works is that if you have played with one Android Wear watch, you have used them all. The watch I tried still had the older version on it, which meant it wouldn’t work on iOS. Despite being on all day, it was at about 30% by the time we got back from a fairly long day. It will last you the day, but probably not more with an always on screen. Time will obviously be more with an always off screen. Charging is done by a dock which plugs into any USB. It charges fairly quickly, and attaches to the dock using magnets. It is good, and I had one given to me, but once again I have no idea whether you get one or two in the box. Would be great to have at least two, one for home and one to travel. A handy button has been thrown in to activate apps, or use OK Google. It works, and there isn’t anything more to it. To B(uy) or not to B(uy)? It all depends. This isn’t exactly cheap. However, if you are after style and a more traditional looking watch, this is it. You may say anything about this, but it definitely doesn’t let you down on the style front. Beautiful, stylish, fully functional, but like all of its family, still on the chunky side. Probably release a model that is all plastic, or something ceramic even, to make it as light as possible. 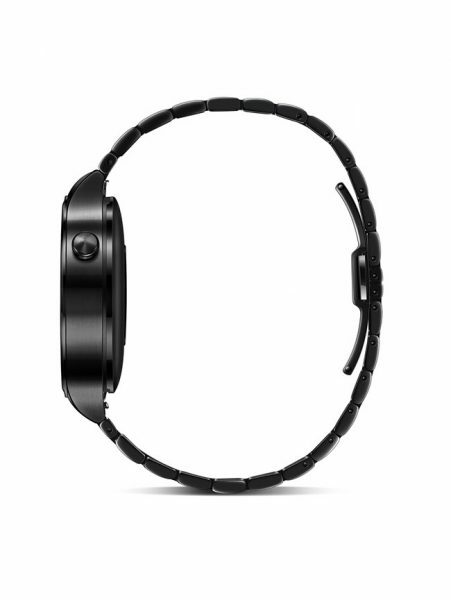 Maybe even a version without the heart rate sensor, to make it thinner. Next story IFA 2015: A guide on how to see all the best stuff in 2 hours!